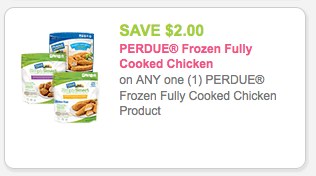 $2 off any PERDUE® Frozen Fully Cooked Chicken + 40% off at PC Next Week! $2 off any PERDUE® Frozen Fully Cooked Chicken - use zip code 77477 if needed, click on food category to find the coupon quickly. 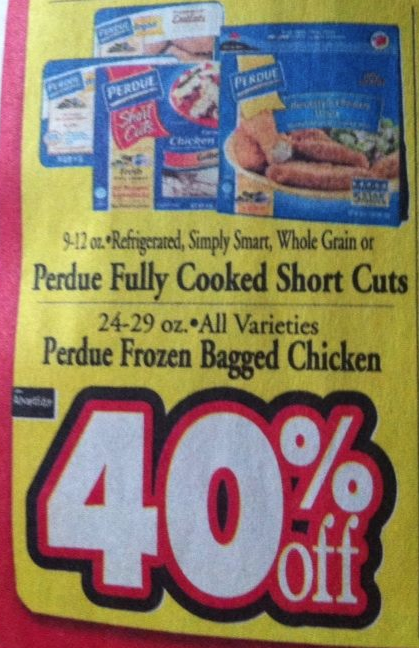 Starting Sunday Perdue Cooked Short Cuts and Frozen Bagged Chicken will be 40% off! Plus we will receive 3 Dollar Doublers for healthy & beauty items in the ad!